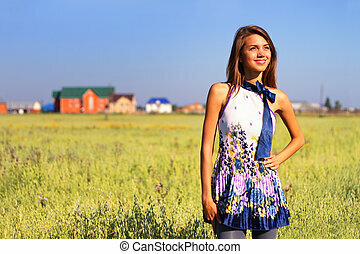 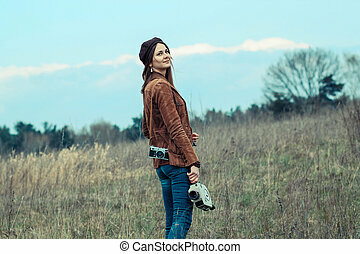 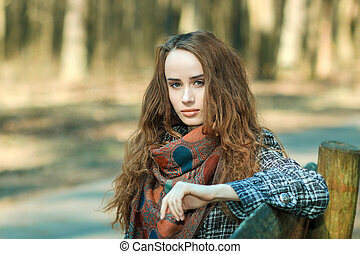 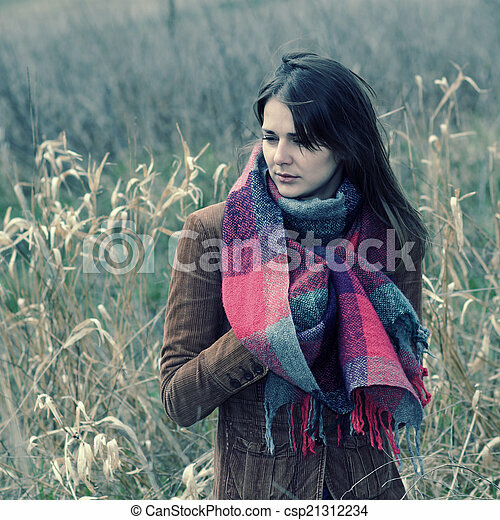 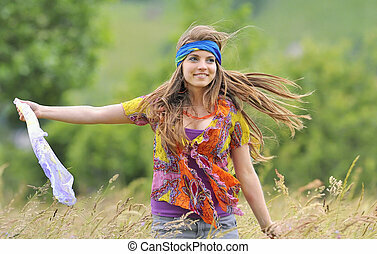 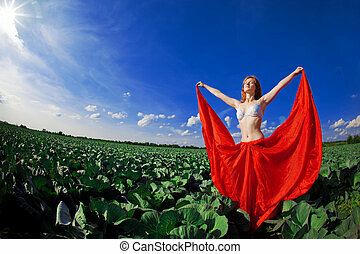 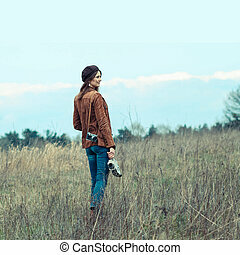 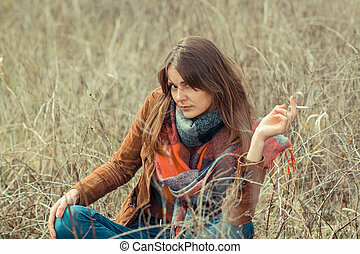 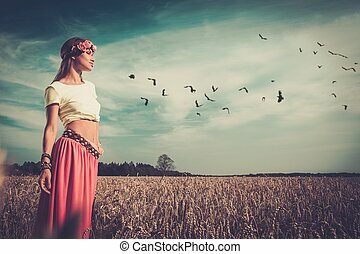 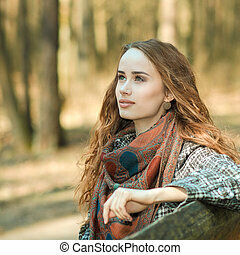 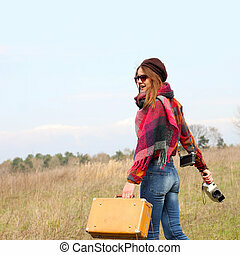 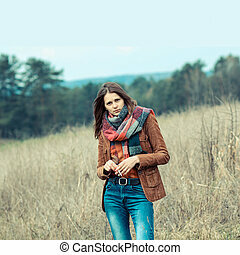 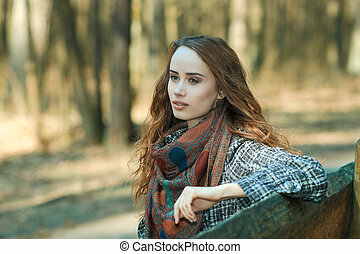 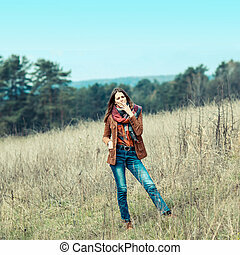 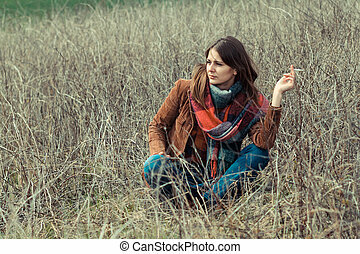 Beautiful hipster girl in a field. 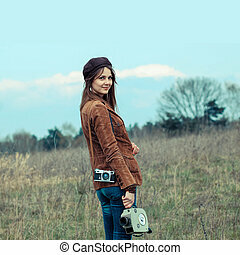 Beautiful hipster girl in a beret makes movies on vintage movie camera. 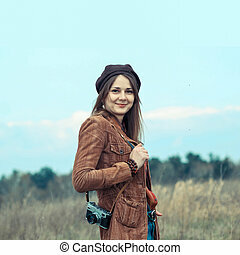 young beautiful emotional girl in a cap.